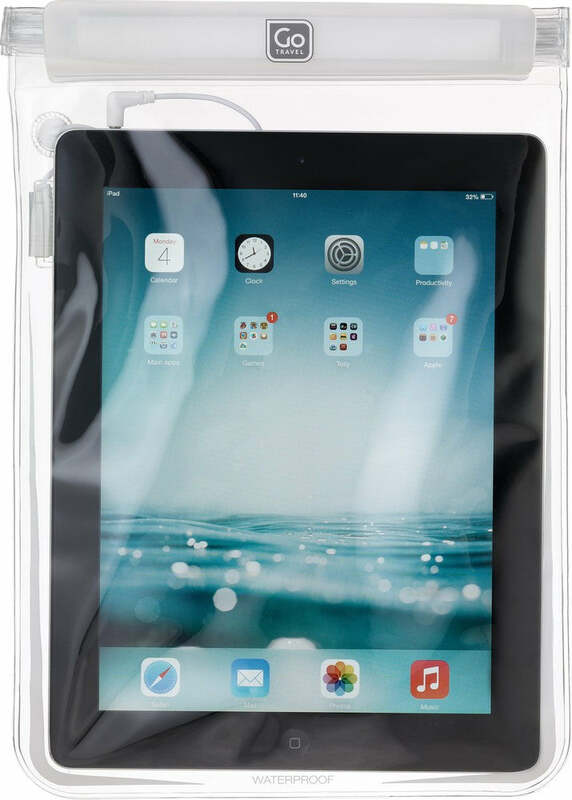 A new addition to our waterproof range, this iPad® case protects tablets up to 10" against water damage and contamination from sand and dirt. Featuring secure 'roll 'n' seal' Velcro closure, once inside the clear pouch your tablet will continue to respond seamlessly to the touch. Email and access to applications remains unaffected, while the integrated earphone jack facilitates movie watching, listening to music or gaming.